The new private hospital in Villeneuve d’Ascq (in northern France) is a response to the regional modernisation programme aiming to improve the quality of health care. The facility acts as a structuring element in synergy with the clinics already present around the city of Lille. The hospital provides multidisciplinary care for outpatients and patients requiring full hospitalisation. Its programme includes 225 beds and medical, surgical and obstetrics units as well as a medico-technical centre. It has a large 42-bed maternity unit, 10 operating theatres as well as radiotherapy, chemotherapy and nuclear medicine units. In 2007, the Jean-Philippe Pargade agency was named winner of the competition launched by La Générale de Santé. The team included EGIS Nord, an all-trades engineering firm, and Martin & Guiheneuf, a firm specialised in quantity surveying services. The hospital has a net plan area of 22,681 m². The overall cost of the works represents €41 million (2012 value). Operational since 26 June 2012, the new hospital was inaugurated on 27 September 2012. Building project: Building a new, modern college seminar building for FOM Hochschule für Oekonomie & Management University of Applied Sciences gGmbH with approximately 1,400 student seats, office units, underground parking and a spacious, green campus. 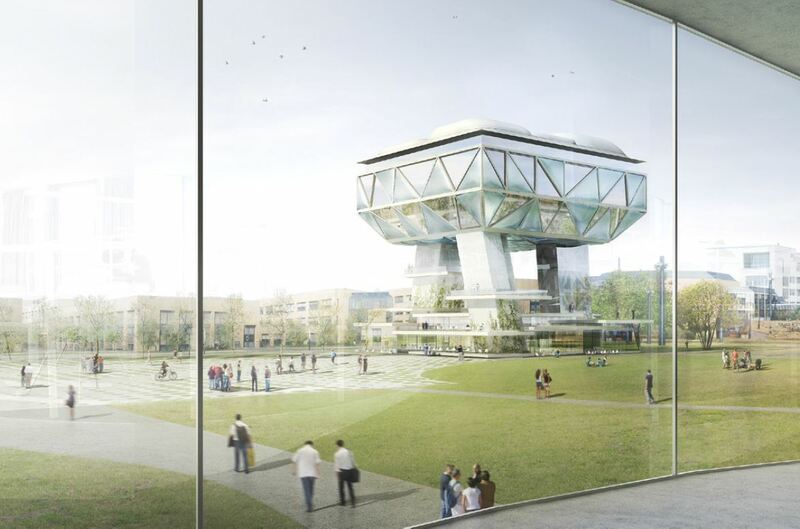 The historical centre of Bordeaux University sets a new beginning : the Opération Campus begins with urban design at its heart. These spaces are currently closed, intended solely for receiving deliveries, however the project intends to turn them into a lively heart of the University, where intermingling can take place. The initial meaning of “campus” can be retrieved through an intense central green space. Interior design is something most people have at least a casual interest in. Even if the interest only concerns one room in a home, it seems everyone wants to have a say in the décor and design elements used. This fact opens the door to unique gift opportunities. All you need to know is the type of design style a person likes. From there you can easily find gifts that will be appreciated. Modern interior designs are often referred to as ‘contemporary style’. The spaces are characterized with clean lines that combine a look of sophistication with comfort. The overall appearance of modern designs conveys a sense of freshness and orderliness. In many instances neutral colors are used with splashes of bolder colors for accent. Accessories are kept to the minimum as contemporary looks should not be cluttered. Metal is a great choice for accent pieces and artwork. The metal creates a sleek look that blends perfectly with contemporary furniture. Wood is another option for modern interior designs. In general, the wood should either be very dark or very light in tone. If you are shopping for someone that has a preference for modern designs you may want to consider giving accent pieces in metal or wood. For example, wooden or metal picture frames, lamps, sculptures, fountains, or flower pots would be excellent choices. Natural hues and rustic materials instill a rustic or cabin-like feel into a space. This can be accomplished in any type of home; however, it is especially appropriate for lake homes and log cabin homes. Exposed wood beams can add to this type of décor. Other rustic design elements may include exposed brick or impressive fireplaces and mantels. Cabin décor is often highlighted with bursts of colors in decorator pillows and rugs. Rustic accent items include wooden candle holders, picture frames, or lamps that have a hand-hewn look about them. People that decorate in an eclectic style decorate according to what they like. In other words, they do not strive for a look that is matched throughout a space; they may use a rustic designed table next to a Victorian chair or a sleek lamp may be place on top of a traditional style mantel. Even so, this is a true decorating style and the design is thought out. The overall appearance of the space will be cohesive. This is accomplished through the use of colors, textures, or shapes. In some ways this type of decorating is more difficult than others. It is based on a collection of items that seem unrelated but that can work together. With that in mind, if you will be shopping for a decorative piece for someone that prefers eclectic design you should determine what it is that ties all the elements together for them. Look for a common color or design element and then choose an accent piece accordingly. It is always important to consider the design style preferred by the recipient. This added effort will be worthwhile; it will provide the information you need to purchase interior design pieces that will be memorable gifts that will be used for years. 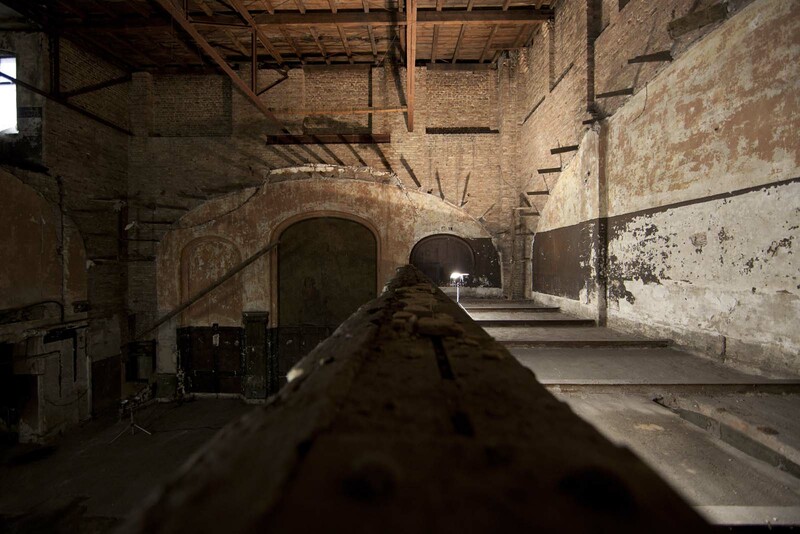 An old cabaret theatre from the roaring ’20s has been uncovered in the heart of Berlin. 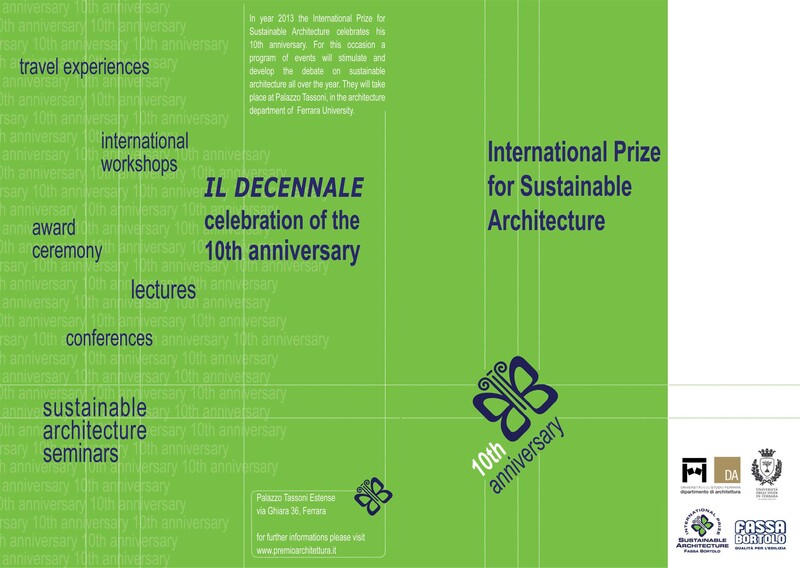 the Ferrara University Department of Architecture, Italy, during these years has been involved in international seminars, courses and activities concerning the sustainable architecture such as the International Prize for Sustainable Architecture, now in its Tenth edition. The Prize arose from the important international manifestation of the decennial of the foundation of the School of Architecture of Ferrara, held in 2003. Conceived and promoted by the Ferrara School itself, with the financial support of the Fassa Bortolo company, its spirit is to promote architecture that is in greater harmony with the environment and designed for the needs of man, capable of satisfying the needs of our generations without limiting those the future, and to share with a large public the results of the research in the architecture field. The awards, created by the Architects’ Journal (‘the voice of architecture in Britain’), recognise the vision of clients and the skill of architects in re-purposing existing buildings to create cost-effective schemes with low energy usage and reduced carbon emissions. 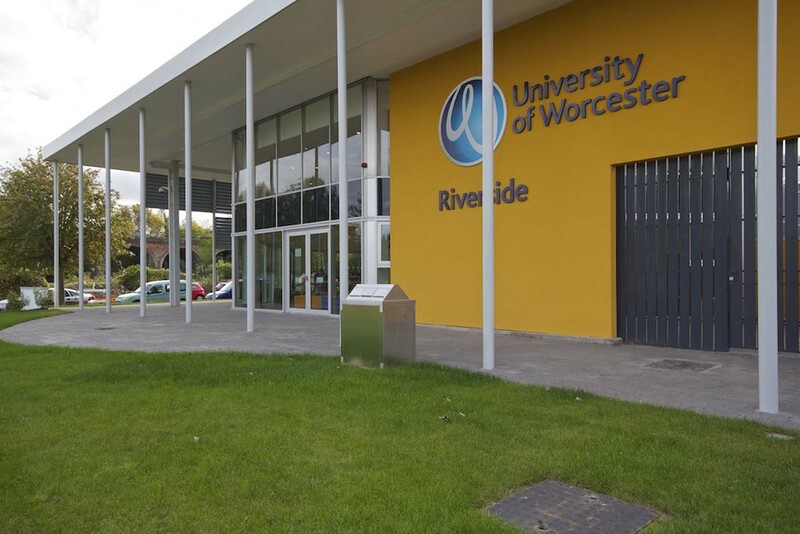 The innovative Riverside building, which appears purpose-built, but was in fact created from a former car dealership with associated workshops, has achieved a C energy performance rating (EPR): a significant achievement for a refurbishment and especially one created on a tight budget. At a total project cost of £2.3m, the scheme cost approximately half what it would have cost to build from scratch (at a £1000 per sq m rather than £2000 per sq m for a new scheme).